More than 100 professional and amateur bakers from around the world have taken part in the second annual World Pasty Championships in Cornwall, which saw the arrival of some unconventional entries such as a very popular pizza-flavoured pasty. The second-ever event – held at the Eden Project, near St Austell, Cornwall, on Saturday 2nd March, saw a previous and local champion, Billy Deakin of Mount Hawke, Cornwall, become the reigning winner for a second-year in a row. Meanwhile in the newly introduced junior categories, Henry Cornish, 14, son of last year’s ‘Cornish Pasty’ and ‘Open Savoury Professional’ winner Graham Cornish, won the ‘Open Savoury Junior’ category while his brother Simon won second place in the ‘Cornish Pasty Junior’ category. In total over 30 judges, including the head judge Dave Meneer spent the day sampling around 130 entries from eight different categories. Marks were given for taste, texture and technical expertise amongst other notable characteristics such as the pasty’s crimp. Mr Meener added that the introduction of new classifications such as the junior categories was a great addition to the event and that this was also the first year an award was given out to a companies which: “created very healthy competition between businesses” and would help the winner raise their companies profile. Following the slightly odd recipes seen from the year before such as the ‘fish, chip and mushy pea’ pasty, some of the pasties entered in this years competition were also very unique in their flavour. For example a Caribbean pasty, an Asian inspired azuki bean and sweet potato pasty, and a pizza flavoured pasty all made an appearance. 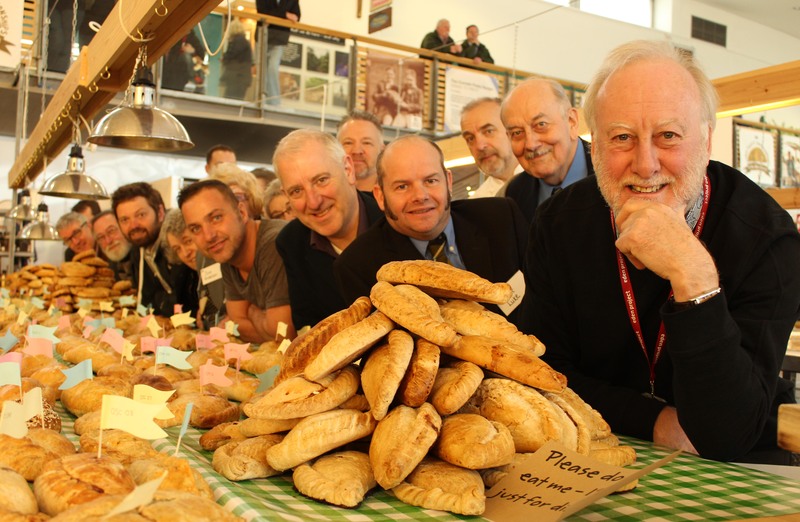 Overall more than 125 cooks took part in a newly devised eight-category competition that was set up to celebrate Cornwall’s favourite delicacy after being granted a protected status under EU laws in 2011. One participant, Mike Amery, even flew over from America to take part in the competition dubbed as the ‘Oggy Olympics’, which head-judge Mr Meener described as being “fantastic”. 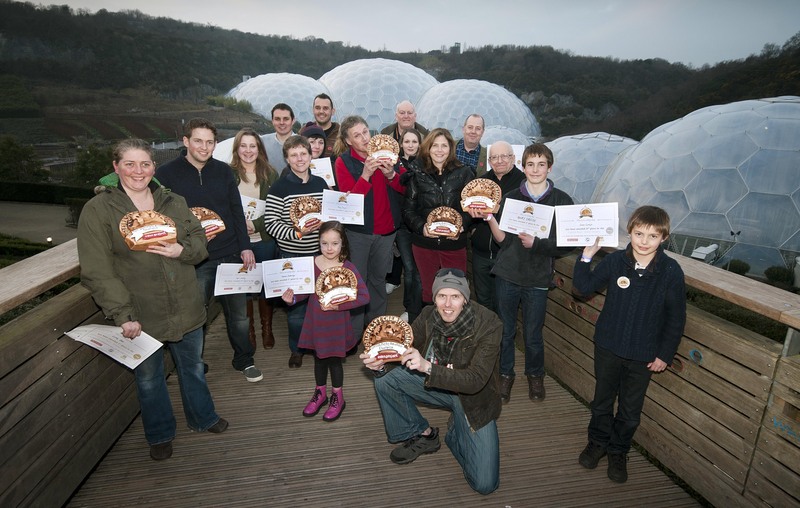 This entry was posted in News and tagged awards, Cornwall, News, Pasty's, The Eden Project, World Pasty Championships. Bookmark the permalink. « Thirty years later… Will whaling ever stop?